The French National Municipal Police Professional Union (SDPM) has filed a complaint over the actions of the Calais local authorities after the publication of an RT video showing the arrest of General Christian Piquemal during PEGIDA’s rally on Saturday. The SDPM filed a protest over the unlawful deployment of Calais municipal police during the anti-immigrant demonstration in the city on Saturday. The unsanctioned rally was organized by the PEGIDA movement and ended up in clashes between protesters and police officers. 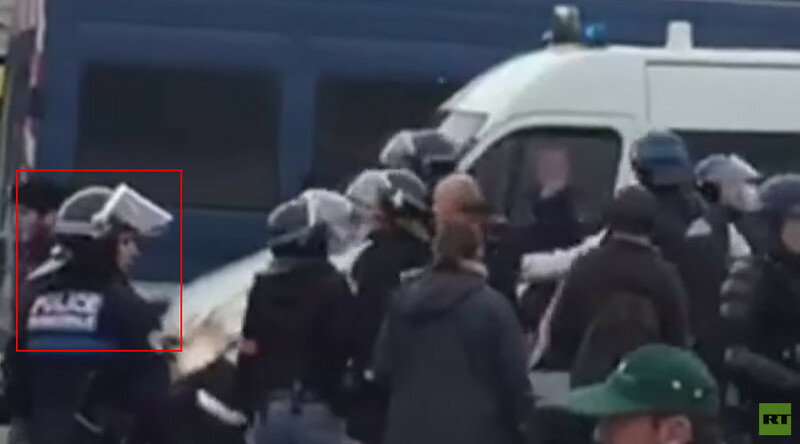 “One can see a municipal police officer wearing a regulation uniform and carrying law enforcement equipment against the background of a moving crowd,” a statement published on the SDPM official website says, referring to a video uploaded to YouTube by RT France. The union stressed the law “particularly prohibits” assigning municipal police officers on law enforcement missions, which “are substantially different from maintaining public order” during peaceful gatherings such as street markets or fairs. Twenty people, including General Christian Piquemal, a respected former French Legion commander, were arrested when clashes erupted between the demonstrators and the police in the French port city on Saturday. Authorities had banned the rally citing security concerns, saying it could “create tensions, division and violence." However, more than 150 people turned up for the unsanctioned rally. The clashes in Calais took place as tens of thousands of people staged rallies in 14 European countries, to protest against Muslim refugees and migrants flooding into the EU.